This weekly blog is a lectionary-based resource for worship planners, individuals, families, or small group fellowships. In the readings for this Sunday, God promises a new creation, where all creatures will live in safety (Isaiah 65:17-25). The psalmist declares: I will not die, I will live; this is the day that the Lord has made (Psalm 118:1-2, 14-24). The apostle Paul writes: As death came through Adam, resurrection comes through Christ (1 Corinthians 15:19–26). In Luke, women find Jesus’ tomb empty; he has been raised from the dead (Luke 24:1–12). 20 But in fact Christ has been raised from the dead, the first fruits of those who have died. 21 For since death came through a human being, the resurrection of the dead has also come through a human being; 22 for as all die in Adam, so all will be made alive in Christ. 23 But each in his own order: Christ the first fruits, then at his coming those who belong to Christ. 24 Then comes the end, when he hands over the kingdom to God the Father, after he has destroyed every ruler and every authority and power. 25 For he must reign until he has put all his enemies under his feet. 26 The last enemy to be destroyed is death. we are perplexed and confused by your ways. We doubt your goodness and the promises in your word. to us about your grace and your steadfast love. through Jesus Christ, our living Savior. Amen. Brothers and sisters, what do we believe concerning the resurrection? for as all die in Adam, so all will be made alive in Christ. In the readings for this Sunday the prophet writes: The Lord God helps me; who will declare me guilty? (Isaiah 50:4-9a) The psalmist sings: Blessed is the one who comes in the name of the Lord (Psalm 118:1-2, 19-29). The apostle Paul writes: Seek the mind of Christ, who was humble, but exalted by God (Philippians 2:5-11). In Luke, Jesus enters Jerusalem on a colt; the disciples praise God with joy (Luke 19:28-40). 26 Blessed is the one who comes in the name of the Lord. your steadfast love endures forever! and have become our salvation. the humility and exaltation of Christ Jesus? In the readings for this Sunday Abram believes in the Lord; God makes a covenant with Abram (Genesis 15:1–12, 17–18). The psalmist sings: I believe I will see the goodness of the Lord in the land of the living (Psalm 27). The apostle Paul writes: God will transform our humiliation into glory; stand firm in the Lord (Philippians 3:17-4:1). In Luke, Jesus laments: Jerusalem, Jerusalem, the city that kills the prophets (Luke 13:31-35). we know we can trust in you and your word to us. and that promise was fulfilled. and to trust in your mighty provision and care. You are our light and our salvation; whom shall we fear? You are the stronghold of our lives; of whom shall we be afraid? Fill us with strength and courage as we wait on you. the return of Christ, and the redemption of our bodies? and it is from there that we are expecting a Savior, the Lord Jesus Christ. In the readings for this Sunday Moses writes: we cried to the Lord, God of our ancestors, and God delivered us (Deuteronomy 26:1-11). The psalmist sings: The Lord says: I will deliver and protect those who call on me (Psalm 91:1-2, 9-16). The apostle Paul writes: The word is near to you; those who call on the Lord will be saved (Romans 10:8b-13). 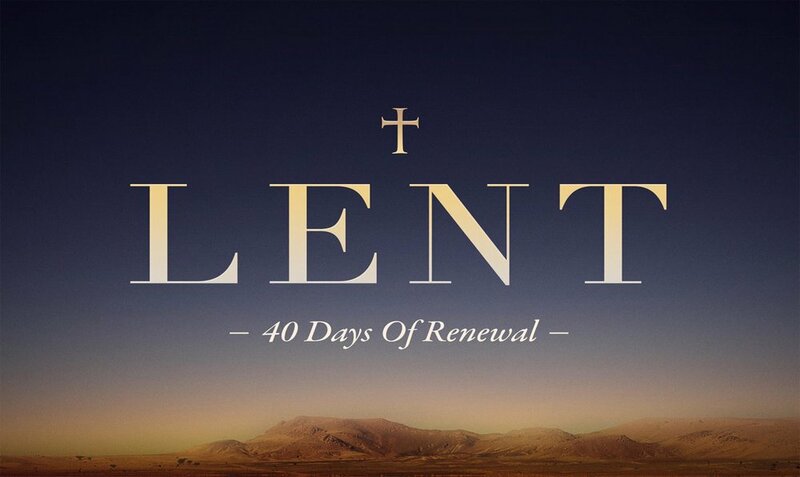 In Luke, Jesus is tempted by the devil for forty days in the wilderness (Luke 4:1-13). 1 When you have come into the land that the Lord your God is giving you as an inheritance to possess, and you possess it, and settle in it, 2 you shall take some of the first of all the fruit of the ground, which you harvest from the land that the Lord your God is giving you, and you shall put it in a basket and go to the place that the Lord your God will choose as a dwelling for his name. 3 You shall go to the priest who is in office at that time, and say to him, “Today I declare to the Lord your God that I have come into the land that the Lord swore to our ancestors to give us.” 4 When the priest takes the basket from your hand and sets it down before the altar of the Lord your God, 5 you shall make this response before the Lord your God: “A wandering Aramean was my ancestor; he went down into Egypt and lived there as an alien, few in number, and there he became a great nation, mighty and populous. 6 When the Egyptians treated us harshly and afflicted us, by imposing hard labor on us, 7 we cried to the Lord, the God of our ancestors; the Lord heard our voice and saw our affliction, our toil, and our oppression. 8 The Lord brought us out of Egypt with a mighty hand and an outstretched arm, with a terrifying display of power, and with signs and wonders; 9 and he brought us into this place and gave us this land, a land flowing with milk and honey. 10 So now I bring the first of the fruit of the ground that you, O Lord, have given me.” You shall set it down before the Lord your God and bow down before the Lord your God. 11 Then you, together with the Levites and the aliens who reside among you, shall celebrate with all the bounty that the Lord your God has given to you and to your house. with a display of power, and with signs and wonders. that we abide in the shadow of the Almighty. and our fortress; our God, in whom we trust. you will protect those who know your name. When we call to you, you answer us. you show us your salvation. Through Christ, by the power of the Holy Spirit, we pray. Amen. Brothers and sisters, regarding salvation, what is it that we believe? the same Lord is Lord of all and is generous to all who call on him. In the readings for this Sunday, Moses returns from Sinai with the law, and his face is shining (Exodus 34:29–35). The psalmist sings: The Lord is holy, a lover of justice; worship at God’s mountain (Psalm 99) . The apostle Paul writes: With unveiled faces, we see the glory of the Lord reflected (2 Corinthians 3:12—4:2). In Luke, Jesus is transfigured on a mountaintop; God says: This is my Son (Luke 9:28–43a). and to Peter, James, and John on the mount of transfiguration. As your people, we want to know you and behold your glory. the Spirit of the Lord is, there is freedom. Brothers and sisters, what do we believe concerning the transfiguration of the Lord? and went up on a mountain to pray. Moses and Elijah, talking to him. and told no one any of the things they had seen. 35 But someone will ask, “How are the dead raised? With what kind of body do they come?” 36 Fool! What you sow does not come to life unless it dies. 37 And as for what you sow, you do not sow the body that is to be, but a bare seed, perhaps of wheat or of some other grain. 38 But God gives it a body as he has chosen, and to each kind of seed its own body. 42 So it is with the resurrection of the dead. What is sown is perishable, what is raised is imperishable. 43 It is sown in dishonor, it is raised in glory. It is sown in weakness, it is raised in power. 44 It is sown a physical body, it is raised a spiritual body. If there is a physical body, there is also a spiritual body. 45 Thus it is written, “The first man, Adam, became a living being”; the last Adam became a life-giving spirit. 46 But it is not the spiritual that is first, but the physical, and then the spiritual. 47 The first man was from the earth, a man of dust; the second man is[a]from heaven. 48 As was the man of dust, so are those who are of the dust; and as is the man of heaven, so are those who are of heaven. 49 Just as we have borne the image of the man of dust, we will[b] also bear the image of the man of heaven. that we might dwell in the safety of your presence. knowing that we will receive the true desires of our heart. trust in you, and watch you move in your lives. and that the justice of our cause will shine like the noonday sun. What did Jesus teach us about loving others in the sermon on the plain? Love your enemies, do good to those who hate you, bless those who curse you, pray for those who abuse you. If anyone strikes you on the cheek, offer the other also; and from anyone who takes away your coat do not withhold even your shirt. Give to everyone who begs from you; and if anyone takes away your goods, do not ask for them again. Do to others as you would have them do to you. Do not judge, and you will not be judged; do not condemn, and you will not be condemned. In the readings for this Sunday the prophet Jeremiah pronounces curses and blessings; those who trust in the Lord are like trees (Jeremiah 17:5-10). The psalmist sings: Happy are those who delight in God’s law, like trees by the water (Psalm 1). The apostle Paul writes: If there is no resurrection of the dead, our faith has been in vain (1 Corinthians 15:12–20). In Luke, Jesus speaks of blessings and curses in his sermon on the plain (Luke 6:17-26). Blessed are those whose trust is the Lord; planted by streams, like trees, they endure. Their leaves will not wither; they stand firm and sure. Blessed are those whose trust is the Lord. Blessed are those who delight in Your word; day after day, seeking what’s pure. Not following foolish ways of this world. Blessed are those who delight in Your word. We’ll follow Your ways for You are our life. We’ll find all we need, our soul’s deep delight. There’s no greater love; no greater prize. You are our hope; You are our life. Blessed, all poor, the kingdom is yours; and all who now hunger for you shall be full. Blessed when weeping for laughter will come. Blessed, all poor, the kingdom is yours. Blessed are those whose hope is in Christ; who’ve died unto Him, but have been made alive. For one day these bodies will be raised to life. Blessed are those whose hope is in Christ. 12 Now if Christ is proclaimed as raised from the dead, how can some of you say there is no resurrection of the dead? 13 If there is no resurrection of the dead, then Christ has not been raised; 14 and if Christ has not been raised, then our proclamation has been in vain and your faith has been in vain. 15 We are even found to be misrepresenting God, because we testified of God that he raised Christ—whom he did not raise if it is true that the dead are not raised. 16 For if the dead are not raised, then Christ has not been raised. 17 If Christ has not been raised, your faith is futile and you are still in your sins. 18 Then those also who have died in Christ have perished. 19 If for this life only we have hoped in Christ, we are of all people most to be pitied. it is perverse—who can understand it? may the Lord tests our minds and search our hearts. and turn away from you. In doing so our souls remain parched and unsatisfied. and they do not cease to bear fruit. who has been raised from the dead, the first fruits of those who have died. a great crowd of his disciples and a great multitude of people? In the readings for this Sunday the prophet Isaiah sees the Lord in the temple and says, “Woe is me! I am lost” (Isaiah 6:1-13). The psalmist declares: I give you thanks, O Lord; I bow down toward your holy temple (Psalm 138). The apostle Paul reminds us that Christ died for our sins, was buried, and was raised on the third day (1 Corinthians 15:1–11). In Luke, we read of a miraculous catch of fish; Peter says, “Lord, I am a sinful man!” (Luke 5:1–11). 1 Now I would remind you, brothers and sisters, of the good news that I proclaimed to you, which you in turn received, in which also you stand, 2 through which also you are being saved, if you hold firmly to the message that I proclaimed to you—unless you have come to believe in vain. 3 For I handed on to you as of first importance what I in turn had received: that Christ died for our sins in accordance with the scriptures, 4 and that he was buried, and that he was raised on the third day in accordance with the scriptures, 5 and that he appeared to Cephas, then to the twelve. 6 Then he appeared to more than five hundred brothers and sisters at one time, most of whom are still alive, though some have died. 7 Then he appeared to James, then to all the apostles. 8 Last of all, as to one untimely born, he appeared also to me. 9 For I am the least of the apostles, unfit to be called an apostle, because I persecuted the church of God. 10 But by the grace of God I am what I am, and his grace toward me has not been in vain. On the contrary, I worked harder than any of them—though it was not I, but the grace of God that is with me. 11 Whether then it was I or they, so we proclaim and so you have come to believe. you stretch out your hand, and your right hand delivers us. five hundred brothers and sisters at one time. Then he appeared to James, and then to all the apostles. Then, last of all, we believe he appeared to Paul. In the readings for this Sunday we read that the Lord knew and called the prophet Jeremiah before he was born (Jeremiah 1:4-10). The psalmist declares: Be my refuge, O God; I have trusted in you since my birth (Psalm 71:1-6). The apostle Paul writes: Without love, I have nothing; the greatest gift is love (1 Corinthians 13:1-3). In Luke, we read how a prophet is not welcome at home; a crowd tries to attack Jesus (Luke 4:21-30). but do not have love, I am a noisy gong or a clanging cymbal. with love that is not envious or boastful or arrogant or rude. that does not rejoice in wrongdoing, but rejoices in the truth. through Jesus Christ, love incarnate. Amen. but one day we will see face to face. one day we will know fully, even as we have been fully known. In the readings for this Sunday Ezra reads God’s law to the people; they weep to hear God’s words (Nehemiah 8:1-3, 5-6, 8-10). The psalmist declares: The heavens tell God’s glory; the law of the Lord is perfect (Psalm 19). The apostle Paul writes that Christ’s body has many different members; in the Spirit we are one (1 Corinthians 12:12-31a). In Luke, Jesus reads from Isaiah: The Spirit of the Lord is upon me (Luke 4:14-21). 1 All the people gathered together into the square before the Water Gate. They told the scribe Ezra to bring the book of the law of Moses, which the Lord had given to Israel. 2 Accordingly, the priest Ezra brought the law before the assembly, both men and women and all who could hear with understanding. This was on the first day of the seventh month. 3 He read from it facing the square before the Water Gate from early morning until midday, in the presence of the men and the women and those who could understand; and the ears of all the people were attentive to the book of the law. your ordinances are true and righteous altogether. and may our experience of them be sweeter than honey. Your commandments protect us; in keeping them there is great reward. so we ask you to clear us from our hidden faults. be acceptable to you, O Lord, our rock and our redeemer. Amen. and has many members, so it is with Christ. and that we were all made to drink of one Spirit. forms of leadership, and various kinds of tongues. In the readings for this Sunday, the prophet speaks: The nations will see God’s faithful love when Jerusalem is redeemed (Isaiah 62:1–5). The psalmist declares The steadfast love of the Lord is great; in God is the fountain of life (Psalm 36:5–10). The apostle Paul writes: Each of us has gifts from the Spirit, given for the common good (1 Corinthians 12:1–11). In the Gospel of John, Jesus turns water into fine wine at a wedding feast in Cana (John 2:1–11). in our lives today, just as you turned water to wine long ago. that the nations may behold the salvation of our God. knowing that you pursue us with your steadfast love. so you rejoice over your people. May we live in light of this strong promise. who activates all of them in everyone. We believe that to each is given the manifestation of the Spirit for the common good. who allots to each one individually just as the Spirit chooses. In the readings for this Sunday we hear the prophet speak: Do not fear, I am with you; I have called you by name; you are mine (Isaiah 43:1–7). The psalmist declares: Glorify the name of the Lord, who reigns over the waters (Psalm 29). In the Book of Acts, people previously baptized in Jesus’ name receive the Holy Spirit (Acts 8:14–17). In Luke, John baptizes Jesus; the Spirit descends; God says: You are my Son (Luke 3:15–17, 21–22). 14 Now when the apostles at Jerusalem heard that Samaria had accepted the word of God, they sent Peter and John to them. 15 The two went down and prayed for them that they might receive the Holy Spirit 16 (for as yet the Spirit had not come upon any of them; they had only been baptized in the name of the Lord Jesus). 17 Then Peter and John laid their hands on them, and they received the Holy Spirit. you have called us by name, we are yours. the Holy One of Israel, our Savior. Amen. I am not worthy to untie the thong of his sandals. the heaven was opened, and the Holy Spirit descended upon him in bodily form like a dove. In the readings for this Sunday we hear the prophet speak: Arise, shine your light has come; the glory of the Lord appears (Isaiah 60:1–6). The psalmist declares: May the king reign forever and deliver the needy (Psalm 72:1–7, 10–14). The apostle Paul writes: An ancient mystery is revealed: Gentiles are fellow heirs in Christ (Ephesians 3:1–12). In Matthew, following a star, wise men visit Jesus and bring him gifts (Matthew 2:1–12). 1 This is the reason that I Paul am a prisoner for Christ Jesus for the sake of you Gentiles— 2 for surely you have already heard of the commission of God’s grace that was given me for you, 3 and how the mystery was made known to me by revelation, as I wrote above in a few words, 4 a reading of which will enable you to perceive my understanding of the mystery of Christ. 5 In former generations this mystery was not made known to humankind, as it has now been revealed to his holy apostles and prophets by the Spirit: 6 that is, the Gentiles have become fellow heirs, members of the same body, and sharers in the promise in Christ Jesus through the gospel. 7 Of this gospel I have become a servant according to the gift of God’s grace that was given me by the working of his power. 8 Although I am the very least of all the saints, this grace was given to me to bring to the Gentiles the news of the boundless riches of Christ, 9 and to make everyone see what is the plan of the mystery hidden for ages in God who created all things; 10 so that through the church the wisdom of God in its rich variety might now be made known to the rulers and authorities in the heavenly places. 11 This was in accordance with the eternal purpose that he has carried out in Christ Jesus our Lord, 12 in whom we have access to God in boldness and confidence through faith in him. in Christ Jesus through the gospel. the good news of the the boundless riches of Christ. and confidence through faith in Christ. To him be glory and honor, forever and ever. Amen. and they knelt down and paid him homage. Jesus is found in his Father’s house (Luke 2:41–52). for his name alone is exalted; his glory is above earth and heaven. and help us to be thankful. psalms, hymns, and spiritual songs to you. giving thanks to you, our Father, through him. just as the Lord has forgiven us, so we also must forgive. In the readings for this Sunday we hear that a ruler will come from Bethlehem; he will be the one of peace (Micah 5:2–5a). The psalmist declares, Give ear, O Shepherd of Israel; let your face shine, and save us (Psalm 80:1–7). The author of Hebrews tells us that God does not desire burnt offerings; Christ came to do God’s will (Hebrews 10:5–10). In Luke, Mary visits Elizabeth; the child in Elizabeth’s womb leaps for joy (Luke 1:39–55). may our spirits rejoice in God our Savior. In the readings for this Sunday we hear the words: Rejoice and sing. God will redeem you and restore your fortunes (Zephaniah 3:14–20). The prophet Isaiah declares: Surely God is my salvation; trust in the Lord and give thanks (Isaiah 12:2-6). The apostle Paul encourages us to rejoice in the Lord, who is near; pray and receive God’s peace (Philippians 4:4–7). In Luke, John the Baptist warns of God’s wrath and proclaims the good news (Luke 3:7–18). and that you are in our midst. that you rejoice over us with singing. and to let our gentleness be known to everyone. that we do not worry about anything. be made known to God through prayer and supplication. will guard our hearts and our minds in Christ Jesus. In the readings for this Sunday we hear that the Lord is like a refining fire; God’s messenger will prepare the way (Malachi 3:1-4). In Luke, we hear Zechariah’s song: Blessed is the Lord God, who has come to save us (Luke 1:68-79). Paul writes that the work that God has begun will be completed at Christ’s coming (Philippians 1:3-11). Also from Luke, in the wilderness John cries out: Prepare the way of the Lord (Luke 3:1-6). that comes through Jesus Christ for the glory and praise of God. looked favorably on his people and redeemed them. just as he spoke through the prophets of old. the oath that he swore to our ancestor Abraham.